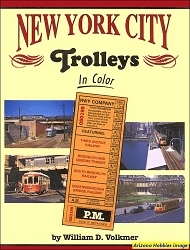 Not long ago, say 1900, every town of any consequence whatever had to have a trolley line. That was the way it was until World War I when the automobile and the truck, which had both been improved by the war, began to replace the trolleys. Automobiles became available to the masses and improved trucks made nice platforms for improved buses. 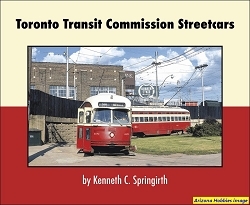 Trolley lines disappeared at an increasing rate until by the 1950s they were scarce indeed. We are fortunate that Ed Miller made an effort to photograph the remaining ones. Pictures from around the country include Iowa, Omaha, El Paso, St. Louis, Milwaukee, Los Angeles, San Francisco, Baltimore, Washington, D.C., Philadelphia, Atlantic City, Newark, Allentown-Bethlehem, Altoona, and others. 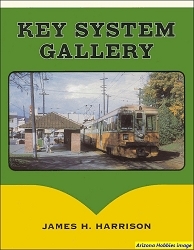 San Francisco Municipal Railway, pp. 122-128.